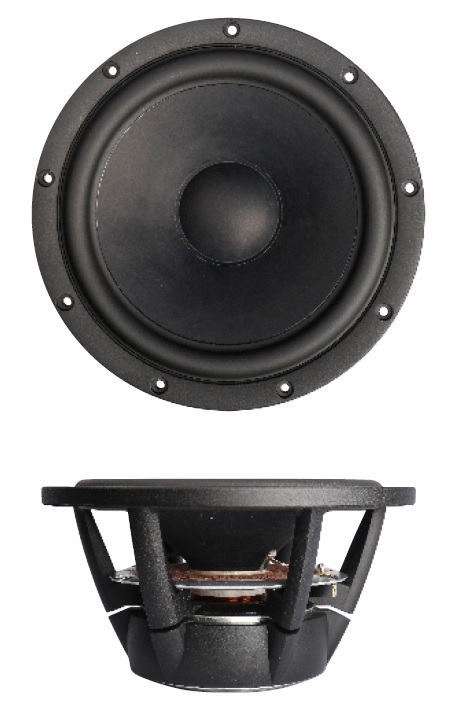 The SB Acoustics Satori WO2P-4 is an 4Ω 9.5″ woofer from SB Acoustics. The woofer has a 49.5mm voice-coil with a 17mm (p-p) linear coil travel. It’s fitted with dual shorting rings in motor system for reduced distortion. Baffle size (WxH): 30×40cm, no flush mount. Driver position: Mounted on center-line with driver unit center 24cm from the top of the baffle. 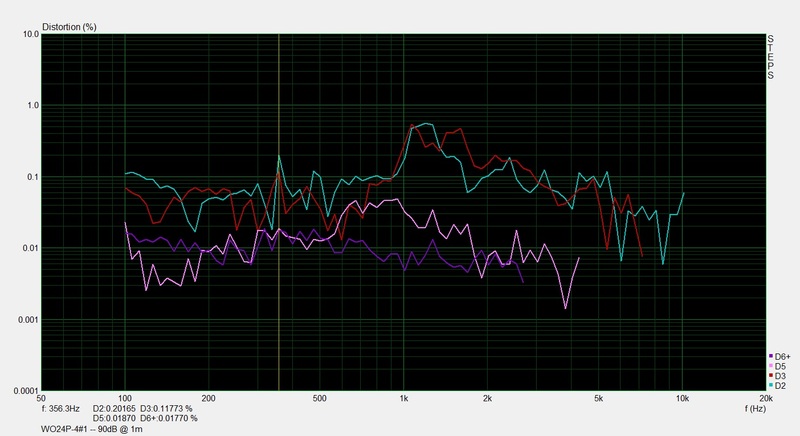 Mic position: 1m distance, on woofer-axis. Nearfield at 10cm from dust-cap. Frequency response on-axis near-field 10cm from dust-cap (Blue=sample#1, Red=sample#2). Frequency response 1m, on-axis (Blue=sample#1 Red=sample#2). 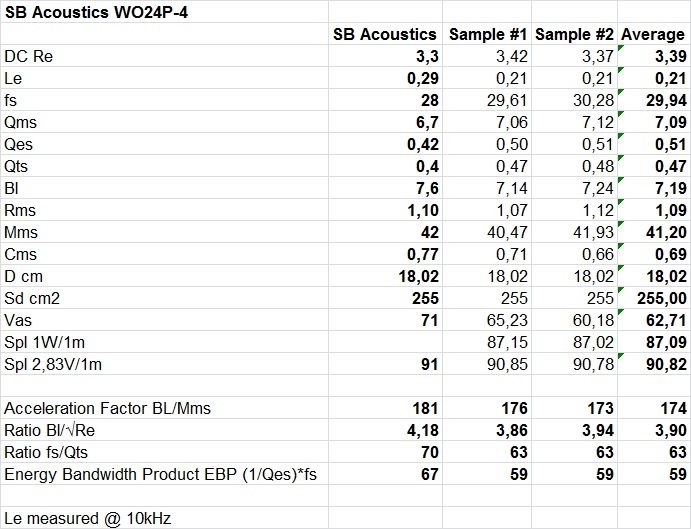 The Satori WO24P-4 woofer is a low distortion driver. The resonance issue shown in the impedance plot around 1.1kHz is shown here as an elevated odd order distortion. 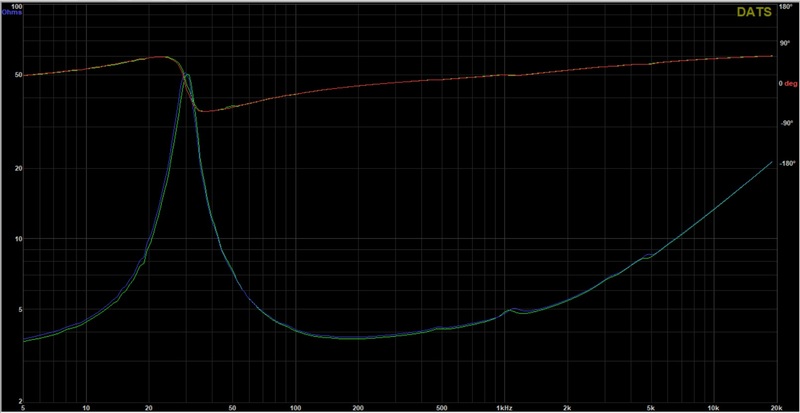 The woofer’s odd-order distortion is low below 0.8kHz and it has an increasing odd-order distortion above 0.8kHz.